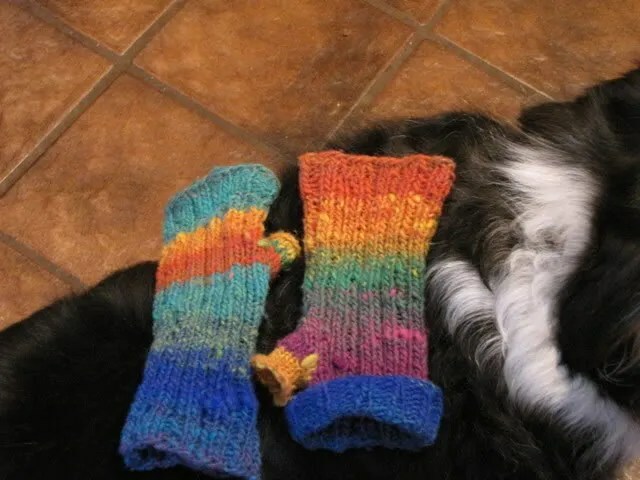 During the Arctic Blast of December, I also knitted some handwarmers for myself. I love these things!! Kukui was my cooperative background; I think she makes a great contrast for the yarn colors. 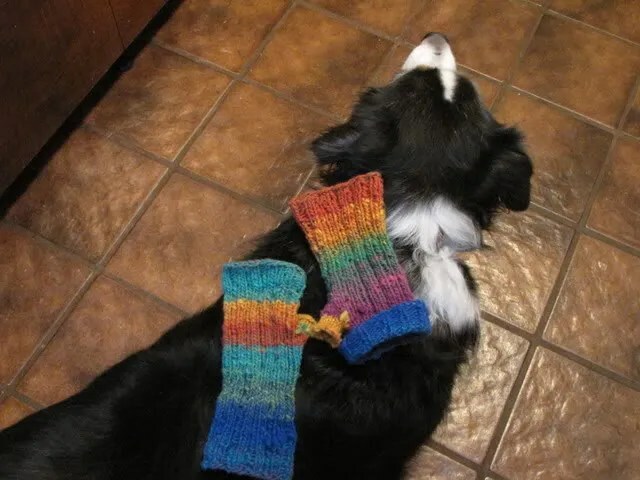 I love how the handwarmers don’t exactly match even though they’re the same yarn. I like the unbalanced schizoid fraternal look. Me and my doggie… I love how she’s looking up at me. While I’m driving and need the extra warmth on the cold steering wheel, I don’t fold back the top. But once I’ve warmed up, I fold them back. I really like that folded back look. I love those colors and I think it’s even better that they’re not all matchy-matchy. I remember buying a pair of gloves that that years ago (but they weren’t as nice as yours) for a friend who caught the bus every day and had take off his gloves to reach for his bus pass. This way he could keep his hands warm AND take out his pass. Beautiful! 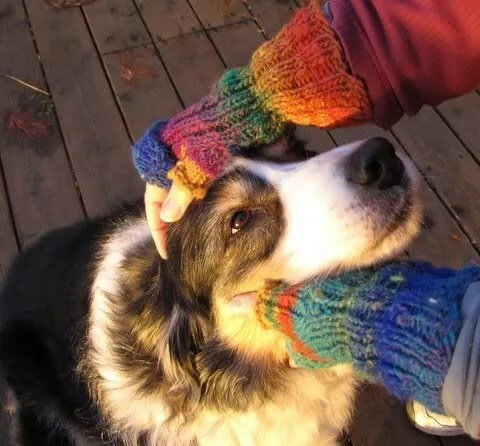 (handwarmers and puppy!) I like that folded back top idea – think I will have to try it soon! Ohwowlaulau. I want a set wit matching socks! lol You so creative kine. You should have an etsy store wit all your awesome stuff you make. LOVE them. I am going to add flip-back length to my next pair.